When Islandport Press sent me a copy of Ghost Buck to review, I was a little apprehensive about reading it for it is centered around an activity I have never participated in: deer hunting. I’m not even much of an outdoors person, but this book is not in actuality about hunting or wilderness skills. It is chiefly about family and the traditions that they cherish. For the Bennett family, deer hunting every fall on their land in Western Maine was (and still is) a family tradition. When a permanent camp (Camp Sheepskin, named after nearby Sheepskin Bog) was eventually built in 1936 by the author’s grandfather on a parcel of land he owned, it became a yearly family retreat, not just for the men who would hunt but for their wives as well. They looked forward to it for they desired to be around family and they regarded camp as a vacation for them too. In point of fact, throughout its 220+ pages, Ghost Buck takes us through the World War II years (not much hunting done due to the men being overseas) to hand cranked telephones (the author’s aunt and uncle ran the last hand-cranked telephone company in the U.S. which earned them an appearance on the Johnny Carson show) to the encroachment of civilization upon their heretofore secluded camp. It all makes for engaging reading and in itself is a slice of history of a less complicated time and place. The Ghost Buck is a large white-tailed deer that makes an “appearance” throughout the book. Every once in a while, large, deep hoof prints are found in muddy ground or snow, and rubs higher than normal on trees, indicating a tall animal with a sizable rack exists. While it is never actually seen (and later in the book the author discovers a possible explanation as to why), it is sometimes heard. Over the years, a number of the Bennett family become believers in the Ghost Buck (you may see it yourself on the book’s cover if you look close enough!). Towards the end of the book, a melancholy turn is taken as the author relates the death of his beloved grandfather (and his lifelong hunting partner) as well as the eventual death of his own parents. Then there are legal wrangles due to disputes over land access by logging companies, the encroachment of civilization as more year-round residents appear on the land nearby and once-quiet trails are now used by joggers, ATVs and even domestic pets. With road improvements comes vandalism, so the need for a locked gate is seen, something the grandfather would never have envisioned. But it is not all grim, for new generations of the Bennett family have carried on the traditions of gathering every fall to hunt (or just to enjoy family) at Camp Sheepskin, including the author’s grandchildren. They say that reading is a way to broaden your horizons, but periodically a narrowing is not necessarily a bad thing. By that I mean it is sometimes advantageous to read a book like Ghost Buck to look at a small slice of the past under a microscope. On the surface, Ghost Buck is purely about generations of the Bennett family gathering every fall to hunt deer. But peer deeper, and you’ll find a family that has not let the uncertainties of life (war, sickness, hard times, distance) hinder their cherished traditions. Even if you are opposed to hunting for sport (“I’m not a trophy hunter” the author affirms), Ghost Buck will draw you in, making you feel like one of the Bennett family. And you just may find yourself thinking of your own family and its traditions and how to keep them going for generations to come. Ghost Buck is going on the long list of “The Very Best” Awards (non-fiction) for 2016. Dean Bennett, a lifelong Maine resident, went on his first hunting trip to his family’s Camp Sheepskin at the age of three and has spent each hunting season since at the camp. Bennett has been a cabinetmaker, curriculum developer, education program evaluator, college professor, and author. 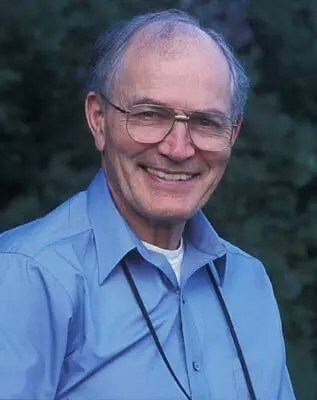 An advocate for the environment, Bennett names deer hunting as a pastime, and simultaneously has stressed the importance of environmental ethics while serving on various environmental organizations over his lifetime. He lives in Hallowell, Maine, with his wife, biologist Sheila K. Bennett. Ghost Buck: The Legacy of One Man’s Family and its Hunting Traditions is his tenth book.